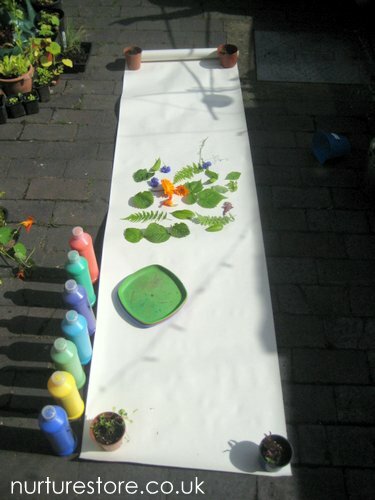 Roll out a long sheet of paper – we use wallpaper lining paper, held in place with plant pots. 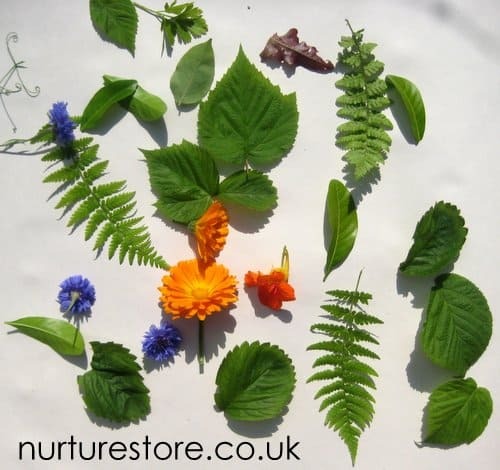 Take a walk around your garden classroom to find flowers and leaves of all sorts of shapes and textures. 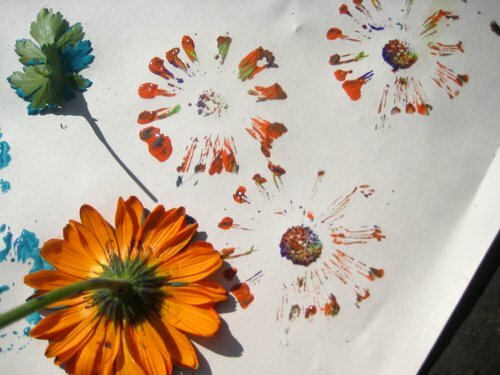 Dip them into paintand see what prints and patterns you can make. 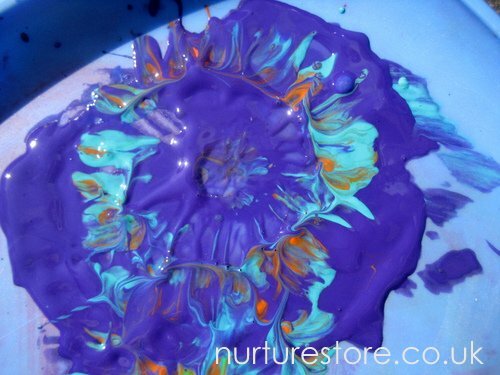 Even the patterns in the paint are beautiful. 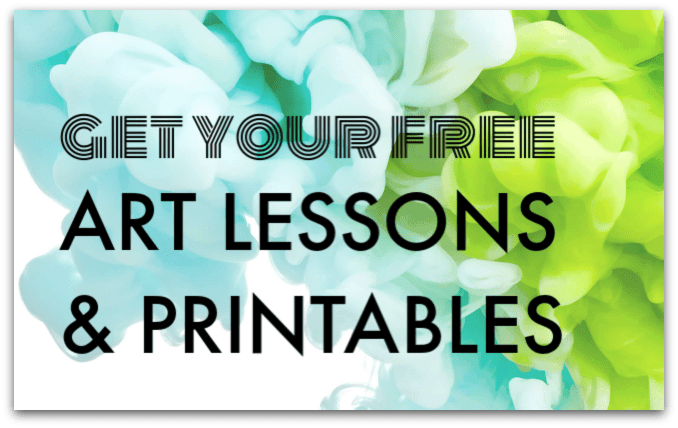 The final art can be pegged up to dry on your washing line and put on display in your garden gallery. This arts will help us to become a creative man and inpire us to express our hidden talent. We can make many sweet, beautiful and attractive things to follow the post tips. This website has awsome ideas i would use this for my children at work! And eachother . Without IPads !!! 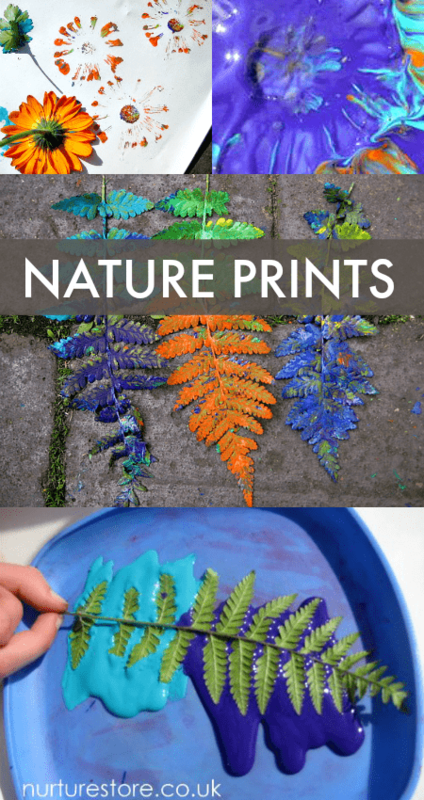 What paint do you recommend for printing the leaves,flowers etc.? Hi Lois. 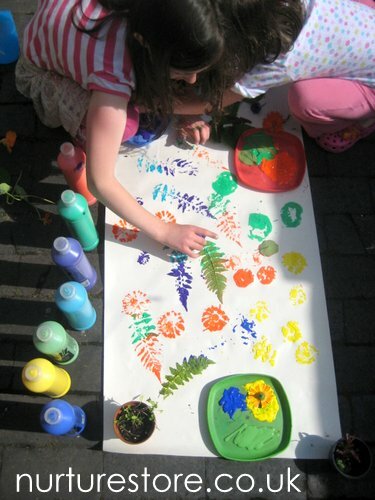 We used water-based basic ‘craft’ paint. Acrylic would be great too. 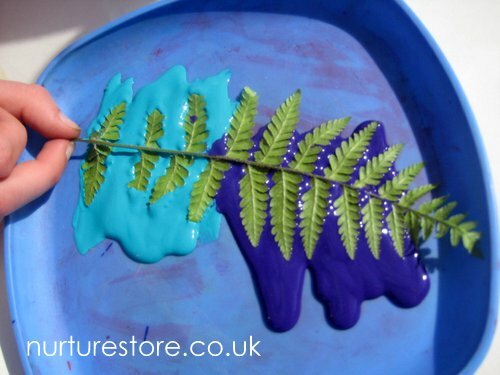 Or use fabric paint to create a design on fabric?